Let’s all keep former NBA player Mookie Blaylock in our Prayers!!! Update Saturday 12:17 p.m.: Former NBA star Mookie Blaylock has been upgraded from critical to “serious” condition by the hospital after an accident Friday, according to police, via the Atlanta Journal-Constitution. Blaylock, 46, was driving northbound on Tara Boulevard when for unknown reasons, he crossed over the median and into a southbound lane, Jonesboro police Chief Franklin Allen told the Atlanta Journal-Constitution. All three were transported to Atlanta Medical Center, where Blaylock was on life support and unresponsive, Franklin said. A female passenger in the second vehicle was bleeding internally, he said. 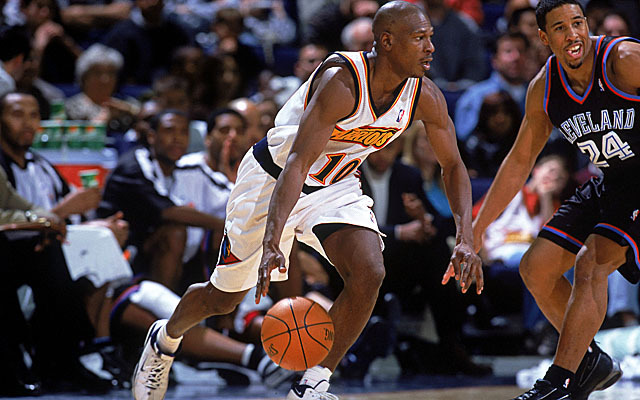 Blaylock spent 13 seasons in the NBA, seven in Atlanta, before retiring in 2002.